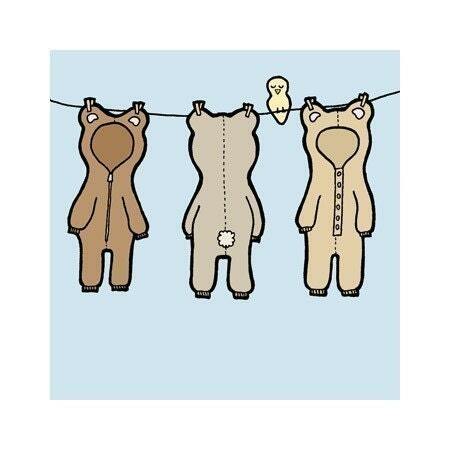 Nut and Bee carries a range of original illustrated character goods designed and handmade by Annette Lauder. Her drawings are cute & sweet & sometimes a little odd, and typically feature little things that make her happy. It makes me happy that she agreed to be interviewed for our series! I started drawing regularly as a hobby while I was at University (studying computer science and economics, nothing artistic!) and I got good reactions when I posted work to my blog, so I decided to start a little business based on my illustrations. I've loved collecting and using stationery since I was small, so it was an easy choice to create my product range in that direction! I also dabble in other crafts, like painting and crochet, when I get the time. Is there a way for me to eat chocolate and sleep at the same time? Hee! What is your biggest challenge when it comes to running your shop? For the first couple of years it was challenging to balance the business with my day job, but I've been working solely on Nut and Bee for about nine months now and life is much easier. I've got my processes for making stock and filling orders and taking care of the paperwork running smoothly, so I don't have to deal with many problems day-to-day. My challenges now are more personal - things like maintaining confidence and handling the ebbs and flows of inspiration. What item in your shop would you most like to receive as a gift if someone were shopping for you? I think I'd have to say the "Fruit Hat Surprise" letterset. I love sets of matching paper and envelopes, and the thought of a monkey leaping out of an elaborate fruit-encrusted hat is hilarious to me! What other shops out there do you love? Etsy is my favourite place to go and browse. There are so many awesome sellers there, like rebeccahorwood and apak and boygirlparty and cyberhadji - I could go on for ages, hee! Hopefully things will continue going as well as they have been so far. I'd like Nut and Bee to keep growing, so that I have some extra capital to invest in making exciting new things - I have a few ideas up my sleeve for types of product I might be able to introduce in the near(ish) future. Of course there will be lots and lots of drawings! And I hope that I will continue meeting awesome people and have the opportunity to spread more good cheer with my work. Stop on by her main shop and have a look around, then stop by her etsy shop and see what else she has to offer. And for a limited time you can go grab her "Cupcakeosaur" t-shirt design available in mens, womens and kids sizes through shirt.woot!